If you don’t live in an overly techy city like San Francisco or New York, you probably haven’t experienced what it’s like to walk into a store that doesn’t have a cash register. 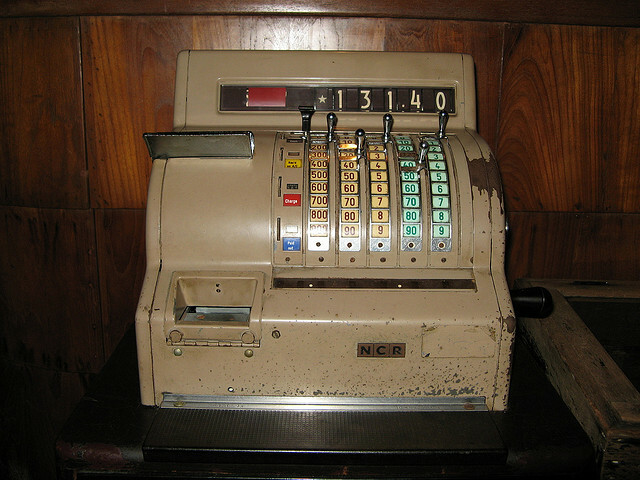 You know, those bulky, ugly machines that rings you up and swipes your credit card or spits out cash. AT&T, which of course is a carrier partner with Apple, is taking a cue from Apple’s retail stores and plans on going completely iPad for its own stores, 9to5Mac reports. The full rollout might take years, but until then, AT&T employees will be using an iPhone to take orders, using a variant of iOS meant specifically for retailers. In its current iteration, you can’t purchase full plans or phones. An AT&T spokesperson confirmed to us that current mobile systems in its retail store are limited to accessory purchases and certain account changes. AT&T also confirmed that the new iPads, which we described, will feature expanded functionality. Since these iDevices are connected to the Internet, there’s no reason to have big bulky machines, since all of the information a sales person needs can be pulled down from the cloud on-demand. A service like Square wouldn’t fit AT&T’s needs, as having a device to process orders isn’t just about the order itself. Checking on the stock of an item is something Apple employees do often using their handy iPhone. The great part about these systems is that you can opt to get an email copy of your receipt which makes record keeping a snap. It also saves paper, which is always a plus. Have you bought things from someone using Square or another iDevice based purchasing system? Tell us how it went in the comments.